Aww! What an adorable little kitten!! Isn't he the cutest thing? Don't you just want to pet and cuddle it? 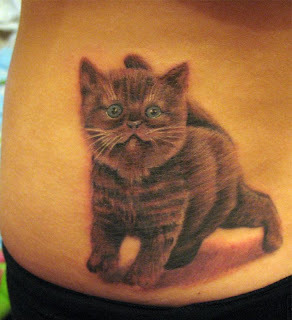 Welcome to Kawaii Tats, blog archive of the cutest tattoos around. Whether you're looking for inspiration or the aww factor, we're your stop!